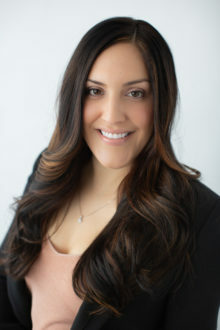 Colette L. Ramirez is partner and co-founder of Triniti Partners Commercial Real Estate Services where she is the Broker of Record, representing buyers, sellers, lessors and lessees of industrial property throughout L.A. North. Her focus is on helping small to mid-size businesses in the service industries, manufacturing and distribution, an underserved niche market to which she is dedicated. Additionally, she provides property management services for single or multiple tenants. To date, she has managed 50+ industrial properties throughout the San Fernando Valley through Triniti Partners. Additionally, Colette brings to her deals experience in private placement memorandums (PPM) and asset management, which enhances her understanding of complex financial real estate transactions. Colette is unique in her field in that she is one of very few female industrial brokers in the San Fernando Valley in an industry traditionally dominated by men. In 2010, she was featured in a high profile article in the San Fernando Valley Business Journal on her role as a female industrial broker, her day-to-day responsibilities, and how she thrives in her capacity as an industrial broker. To Colette, being a woman in a man’s world is not a big deal because she has the confidence, backed by experience, to deliver excellent results to her clients. Her high level of competency, combined with her passion, perseverance and follow through, provide formidable skills in closing deals other brokers can’t touch. Colette began her career in commercial real estate in 2007 at Grubb & Ellis, a large international firm located in Los Angeles where she acquired a high level experience as a broker for buyers and sellers in the leases and acquisition of their properties. In 2009, she was named “Rookie of the Year/Los Angeles” for her consistently-high production rate. To date, she is one of only two agents – out of 18 who completed the firm’s rigorous, yearlong training – who remain in the business. On a personal note, Colette is a former Division One athlete and Conference USA champion, having played on a scholarship for the University of Memphis’s winning Women’s Volleyball Team in 2006. She earned her Bachelor’s degree in Business Management from U of M, having previously she attended Virginia Polytechnic Institute and State University. Colette is a member of the American Industrial Real Estate Association and Commercial Real Estate for Women (CREW). Born and raised in Southern CA, Colette is married with two children and maintains her athleticism as an avid runner with daily workouts. 2011 – Present Partner, Triniti Partners, Inc.